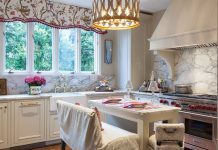 After 27 years, Yvonne replaced her 18th century-style mahogany dining table and chairs with an updated concrete table, upholstered wing-back chairs, and a bench slipcovered with a painter’s drop cloth. Yvonne painted and reupholstered two of the original side chairs (much to the horror of her blog readers). “The carving shows up so much better,” she says. An affordable indoor-outdoor rug offers low maintenance and high style underfoot. 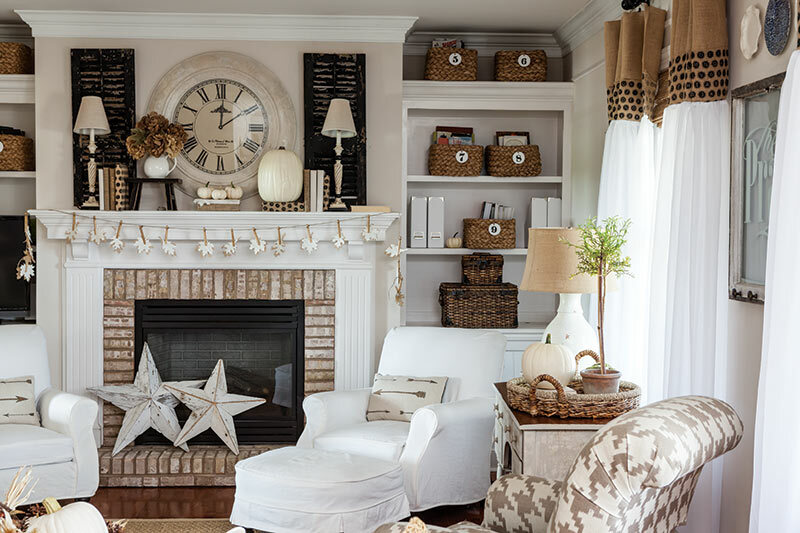 Even seasonal decorating obeys the quiet-neutrals rule. 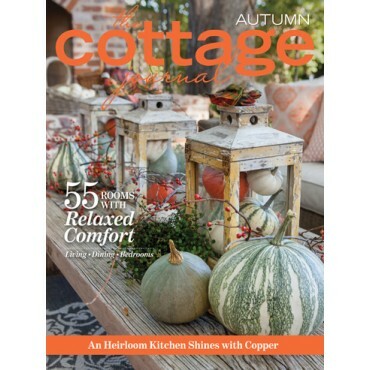 For fall, autumn leaves pressed between glass and a few pillows embroidered or printed with pumpkin designs nod to the season’s traditional earthy colors, but the pumpkins she piles in baskets and on tables are all white or pale blue-gray. Most of Yvonne’s pumpkins are plastic decorations she’s painted white, interspersed with fresh ones from an Amish greenhouse. 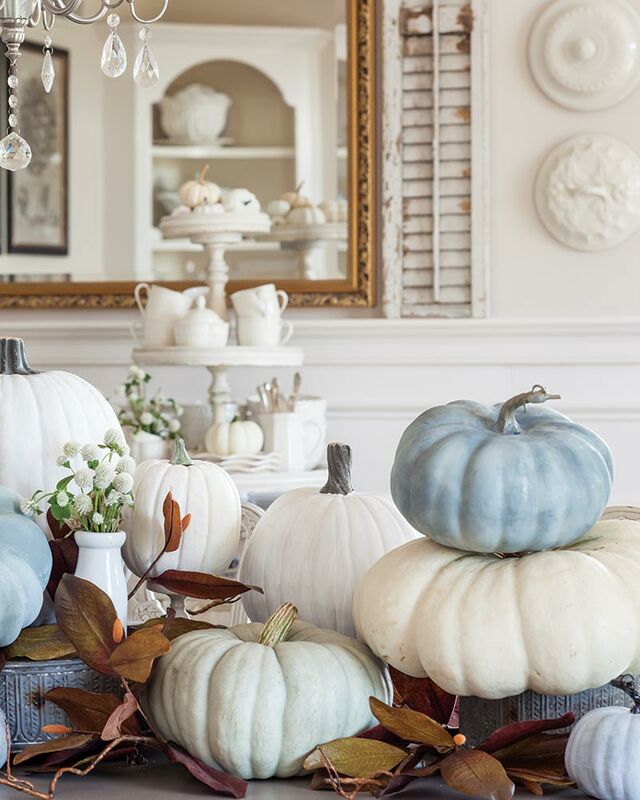 The strictly white-and-pastel palette plays up the interesting shapes of the pumpkins and gives them an unexpected elegance. Dedicated to DIY, Yvonne is always working on projects to share with the readers of her blog, stonegableblog.com. Her home is her laboratory, and every room showcases her handiwork: in the family room, a secondhand desk with a chippy paint finish and floor-length sheers with burlap headers; in the dining room, an artful wall display and tablescape; in the living room, trendy atomic orbs and simple window treatments. 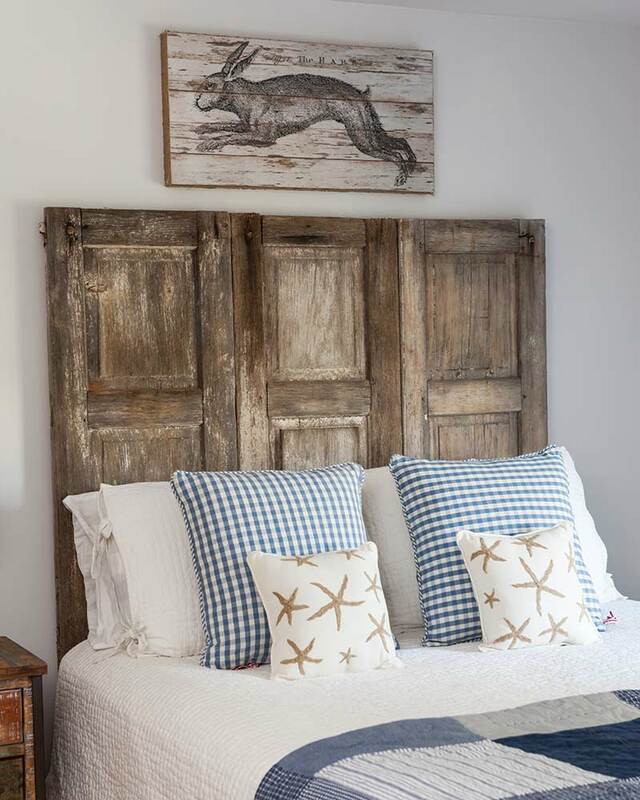 For bigger projects, such as painting the stairs and banister or building a headboard out of salvaged shutters, her husband lends a hand. 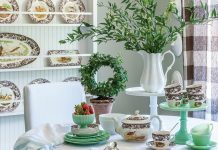 In addition to the soothing, peaceful effect of neutrals, Yvonne says another advantage is that it’s economical. 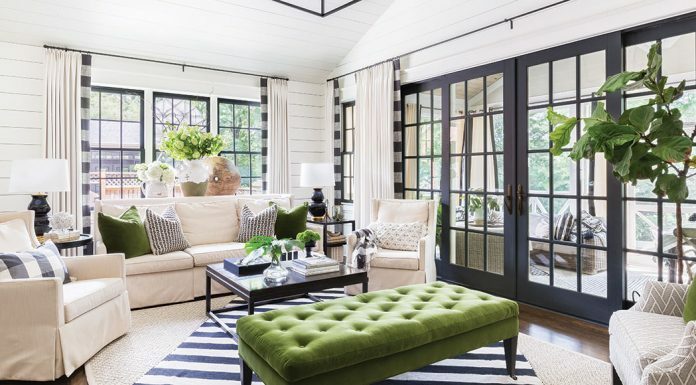 Neutrals tend to stay in style longer than other color palettes, and it’s easy to update a look with pops of color that don’t require a big investment. 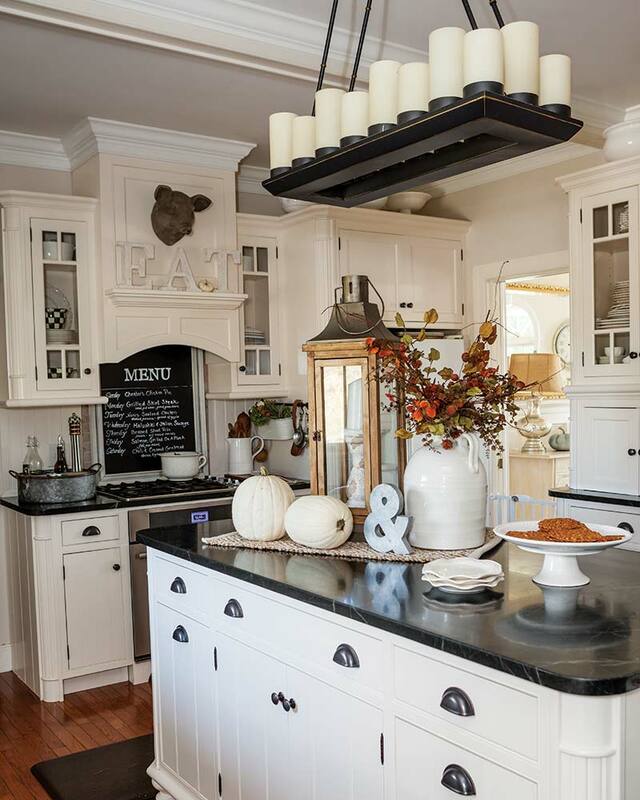 Neutrals also allow her to tweak her refined-country interiors with accents of other styles. 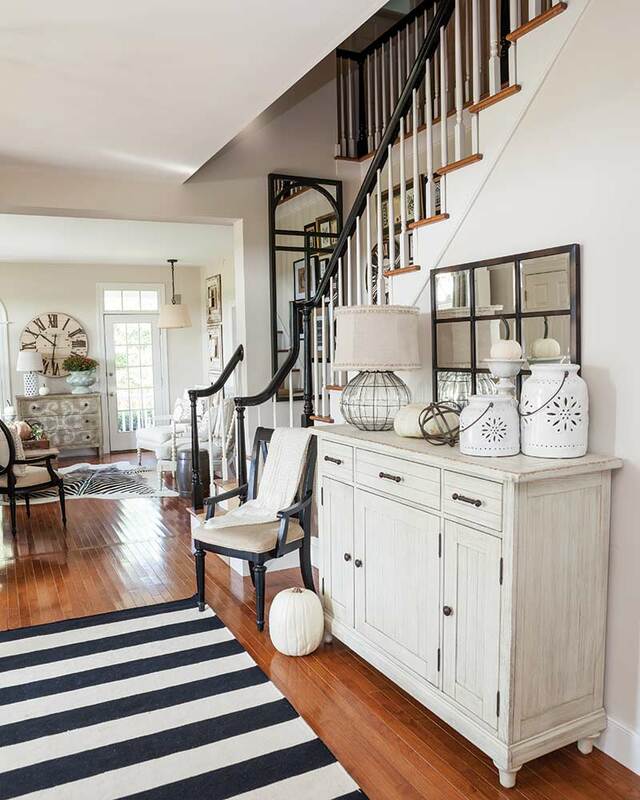 “There are so many styles I love,” Yvonne says, “so living with neutrals, I can add a touch of industrial, or something whimsical and fun, or a little bit of modern and sleek.” The white-and-neutral palette pulls all the elements together and creates a harmonious overall effect. Shop the issue below for more autumn inspiration!